Transpose Music – Where to Write Dynamics? Transpose Music – Where to Write Dynamics When Transposing? When we transpose music up or down in the Treble Clef or in the Bass Clef, transposing dynamic markings are pretty straightforward. You just copy them in the same spot, right? But what happens when you have to transpose a melody from the Treble Clef into the Bass Clef, or a melody from the Bass Clef into the Treble Clef? Now the dynamic confusion begins! 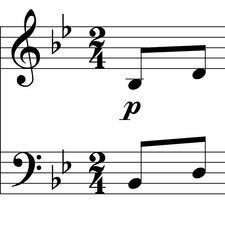 Transpose Music Rule #1 – Dynamics are written below the single Treble Staff. Transpose Music Rule #2 – Dynamics are written above the single Bass Staff. WHY? Here’s the cool trick: Dynamics are written below the Treble Staff and above the Bass Staff so you get a Grand Staff and the dynamics match in the middle. See? Hmm – that doesn’t look correct does it? If your student puts the dynamics above the single Treble Staff and below the single Bass Staff, they sure do look silly when you put them together into a Grand Staff! Dynamics are written below the Treble Staff and above the Bass Staff so that if you had a Grand Staff, the dynamics would be right smack dab in the middle. 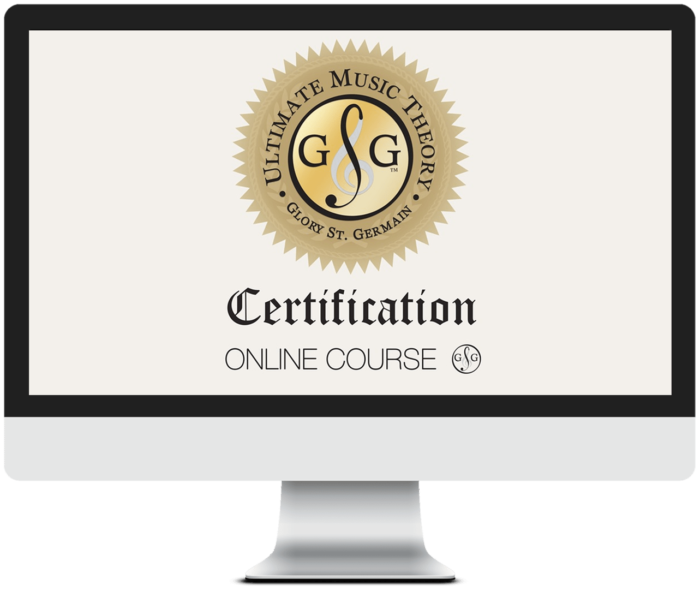 Have you checked out the FREE Music Theory Worksheets yet? Explore! Enjoy! Print them off and have fun! P.S. Join the Conversation. When they transpose music as part of a theory examination, is there anything else that your students get “kerfuffled” about (mixed up, confused….)? Let me know and we will look in our bag of UMT Tips and Tricks for you.